Employee or pre employment, tenant and renter background checks from our massive data methodology gives you fast delivered, thorough knowledge on the history of an individual you're looking at hiring or letting or leasing to. Employers: pertinent information to make informed, safe decisions. Landlords: know the critical history of applicants. Affordable. Comprehensive. Very fast. Best Employee Background Check and Screening For Smart Employers. For over 11 years we’ve brought employers the best, highest quality, most thorough background screen check on employees they’re considering for hire. Pre employment screening is vital to the viability, safety and reputation of your business. Most applicants exaggerate their achievements or fabricate them or they could even lie on applications. You want to know the reality before taking someone onboard. Our screening service is exceptionally comprehensive and is highly regarded as a leader in the background screening industry. You need information fast for your hires, and it needs to be low cost. Our results are fast, accurate, and conveniently delivered online for all your verification needs. Enhance security and protect company assets. An online background check can help minimize the risk of physical and data theft, as potential red flags can be identified prior to an individual's employment. Federal regulations may also render an individual ineligible for employment if they are on national disqualification lists. It pays to get the facts with our online check. Improve quality of service and productivity. Employment background checks can help you verify a candidate's work experience, educational background, and other factors that may affect their ability to do their job. It can also help you disqualify applicants who have provided fraudulent information. A sure way to save a lot of grief is with our background checks. Renter or Tenant Background Check for Your Property Letting or Leasing. A new tenant has moved into or wants to move into your rental business property. The application has been filled out and you’re deciding on a particular individual or couple. The question becomes what do you really know about this new tenant in terms of history and credit performance? They can tell you certain things if you ask, but how thorough and true are they? Tenant background checks or reports are critical in today’s world where tenant and landlord or property manager relations can take very unpleasant turns if the tenant is not of a certain honesty and has a healthy financial and social history. Our investigations include eviction reports. Our online tenant screening is unequaled for detail and thoroughness by any other background services company. These are just a few of the types and reasons for background checks. You can also do a background check on yourself. 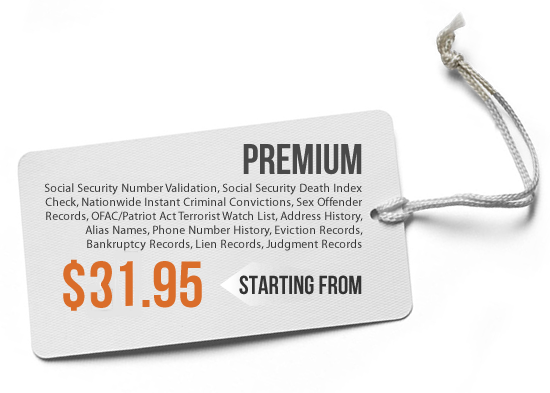 BackgroundReport.com is designed to give you the accurate information you need quickly and efficiently. You can obtain background reports on anyone. In addition to providing you a comprehensive background check, we'll verify the subject's identity and provide them with an opportunity to review their background report as part of the background screening process to give you maximum confidence in the information we report. Our patent-pending screening process helps you make informed, intelligent decisions with an economical background check. Are you renting a new house or apartment? Check for evictions, bankruptcies, or a history of drug activities. Interviewing potential employees? Spend your time only on top quality candidates by screening them first. Need a helping hand? Protect vulnerable groups by running background checks on volunteers. Hiring a nanny or elder care provider? Know who will be spending time in your home with your loved ones. 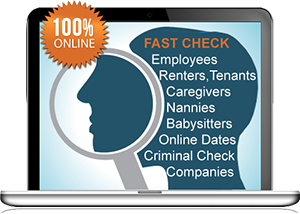 BackgroundReport.com Bringing our customers the best, most comprehensive and low cost employee renter and tenant background checking services. Our database searches are extremely thorough and designed to provide you with all relevant information organized to be easy to read and follow. 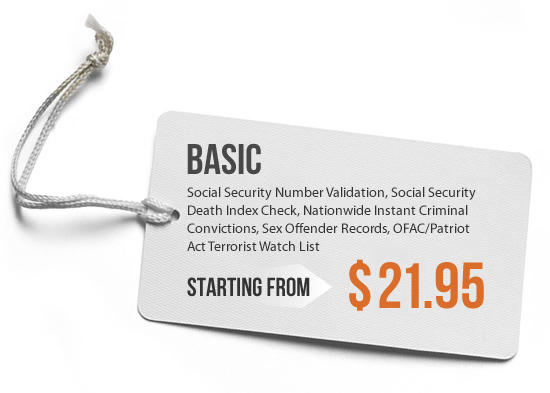 Pre employment screening that is accurate and won�t cost you a big piece of your budget. We also offer ongoing monitoring services.